We all know that when our hormones get out of whack, it can cause big trouble not just for our weight but also our health. And the nearly 20 percent of women who have been diagnosed with polycystic ovary syndrome (PCOS) are no exception. PCOS is the most common endocrine disorder among women 18 to 44. It affects hormones and causes enlarged ovaries with small, benign cysts. Women with PCOS have an increased level of androgens (male hormones), which can wreak havoc on the body and cause a variety of negative symptoms. They also are more likely to suffer from obesity, obstructive sleep apnea, cardiovascular disease, endometrial cancer, mood disorders, and type 2 diabetes. Experts believe that both genetic and environmental factors can lead to PCOS, and there are a number of conditions that increase the risk of development. Family history, obesity, and physical inactivity top the charts as risk factors for the condition. PCOS is also commonly coupled with elevated insulin levels, which can cause the ovaries to start churning out even more androgen. And although there is currently no cure for PCOS, there are ways to manage and treat the disorder. If you’re looking for PCOS natural remedies to ease your symptoms and keep it under control, you’ve come to the right place. One of the top PCOS natural treatments is apple cider vinegar, which has been shown to reduce insulin production while keeping blood sugar regulated. Less insulin means less androgen, and that, in turn, means fewer of the negative symptoms that accompany PCOS. 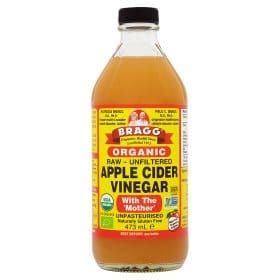 To optimize your results, mix two tablespoons of apple cider vinegar with a glass of water and drink with each meal to keep blood sugar levels stable. Looking to take it to the next level? Besides its huge list of cardiovascular , fish oil can actually improve insulin sensitivity. In fact, studies have shown that increasing omega-3 intake increased insulin sensitivity by up to 43 percent. This means the body produces less insulin, and that equates to less androgen production (1). 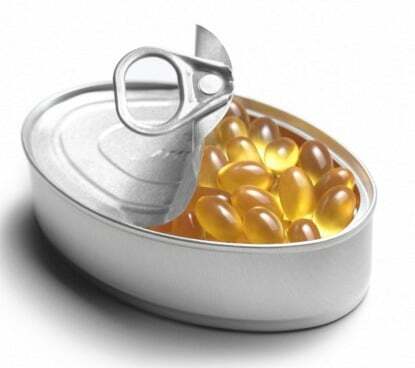 Fish oil can be taken as a supplement or found in the diet naturally in fatty fish, like salmon and mackerel. For vegetarians, there are plenty of other ways to get in omega-3 fatty acids as well. Chia seeds, leafy greens, and seaweed are all excellent nutritious options. Flaxseed is one of the most effective natural treatments for PCOS because it attacks the problem at the root. This miracle food contains high amounts of lignan, a compound that has been shown to bind to testosterone in the blood and promote its excretion. This translates to less of the unpleasant side effects caused by hormonal imbalances (2). Flaxseed gives a delicious crunch to cereal and applesauce. It can also add a nutritious twist to green smoothies or baked goods. Two tablespoons per day delivers a good chunk of fiber and is an excellent starting point. Looking for recipes to get more flaxseed in your diet? Licorice has a long history as a medicinal plant – and it can have a powerful impact on PCOS. One study found that licorice caused a significant decrease in total serum testosterone in healthy women by how the body metabolizes it (3). You can take licorice root as a supplement, or you could make your own licorice root tea by adding it to boiling water and soaking for 10 minutes. Drink the tea twice a day for best results. Alternatively, give this Ginger Licorice Tea a try from Elana’s Pantry. 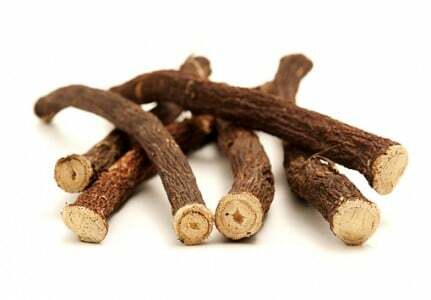 That being said, always check with your doctor before supplementing with licorice root if you have health issues like heart, kidney, or liver problems. This helpful gourd is known by several names – Momordica charantia, bitter squash, or bitter melon – and it has a potent effect on dropping insulin levels. It is thought to work by inhibiting glucose uptake, suppressing key glucose-producing enzymes, and supporting the function of the pancreas in insulin secretion (4). Bitter gourd, as its name suggests, has a strong bitter flavor, but can be paired with other vegetables like onions or tomatoes to tone down the taste. it can also be soaked in tamarind juice for 30 minutes before cooking to help remove bitterness prior to cooking. Try incorporating it in a few meals (see these ideas) each week to start seeing the benefits. 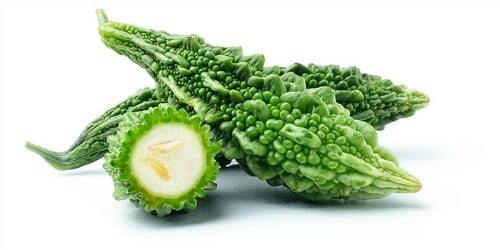 Coccina grandis, a southeast Asian vine also known as ivy gourd, might help keep blood sugar levels down. A study in 2011 found that two hours after eating 20 grams of ivy gourd, blood sugar levels stayed significantly lower (5). 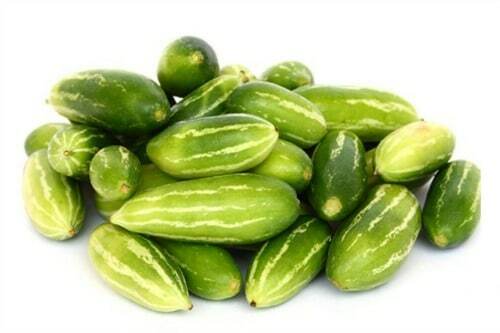 Ivy gourd is a regular ingredient in curry or in sambar, a soup made of vegetables and lentils. It’s also commonly sautéed, boiled, or fried and is a staple in Indian, Thai, and Indonesian cuisines. One of the most problematic side effects of PCOS is hirsutism – or unwanted hair growth – both on the face and body. 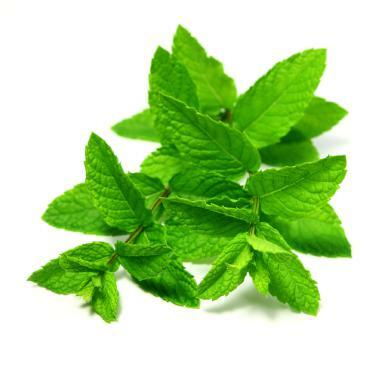 Spearmint tea has significant anti-androgenic properties, meaning it is able to reduce levels of male hormones and relieve symptoms like hirsutism. A 2010 study showed that drinking spearmint tea twice a day was associated with a significant drop in testosterone levels over a 30-day period (6). Spearmint tea is available commercially and can be enjoyed one to two times daily to reap the maximum benefits. If you have a green thumb and are looking to grow and make your own, just place 10 to 15 spearmint leaves in a tea strainer, pour hot water into the pot, allow it to steep for about three minutes, and enjoy. This herb has an long history as a medicinal herb and is particularly effective in treating PCOS. Chasteberry works to regulate and correct hormonal imbalances – efficiently alleviating symptoms of PCOS in the process. Chasteberry also has been shown to treat menstrual cycle irregularities, acne, and menopausal symptoms. 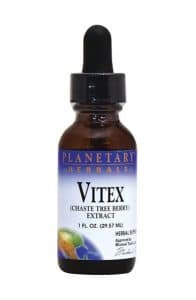 Chasteberry is available in dried or liquid extract form and dosage recommendations range from 40 mg once in the morning to 20 mg three times daily. With any supplement, it’s best to work with your healthcare provider to determine what works best for you. Cinnamon is a powerful tool when it comes to regulating menstrual cycles. In fact, a 2015 study showed that it was able to significantly decrease menstrual bleeding, reduce pain, and alleviate common side effects like nausea and vomiting (7). Sprinkle cinnamon over hot soups, teas, or cereals to add warmth or add a dash over desserts for a robust and pleasant flavor. For best results, try to incorporate a tablespoon with each meal. This plant is revered for its anti-androgen effects and is often used to treat symptoms of PCOS. Many women with PCOS have increased levels of an enzyme called 5-alpha-reductase, which converts testosterone into a hormone called DHT. Saw palmetto works by effectively blocking the production of DHT. Native to the southeastern United States, saw palmetto is most commonly found in the form of dried berries or capsules. The berries of saw palmetto tend to have a very strong, almost oily flavor and are typically recommended at dosages of 1 to 2 grams daily. 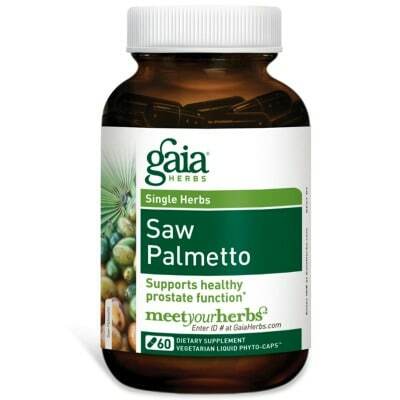 If you’re able to find raw saw palmetto, the heart is much milder and can be added to a salad or eaten as a snack. Fenugreek is a medicinal herb that has some seriously strong effects on hormone regulation. A 2013 study treated women with PCOS with a combination of either fenugreek seeds with metformin or a placebo with metformin. 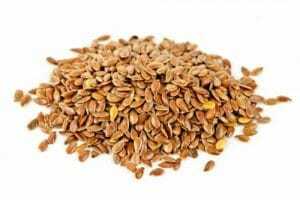 They found that fenugreek seeds had significant effects on restoring regularity of menstrual cycles (8). 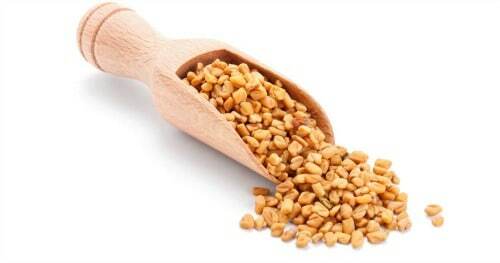 Fenugreek is often described as having a sweet and nutty flavor and seeds can be used in whole or ground form. Fenugreek seeds make an excellent addition to Indian dishes, like curries and soups in particular. They are also commonly found in a variety of spice blends integral to Ethiopian and Bengali cuisine. All it takes is about a teaspoon of ground fenugreek to reap the benefits. This essential mineral plays a critical role in regulating insulin activity. Studies have confirmed the powerful effects of chromium in increasing the metabolic action of insulin, which helps boost insulin sensitivity. This means a decrease in male hormones and fewer symptoms for those suffering from PCOS (9). Foods rich in chromium include broccoli, green beans, tomatoes, barley, and oats. 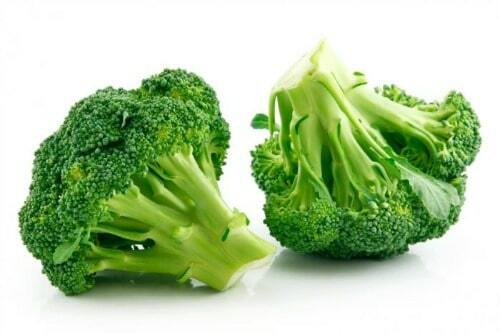 In fact, just one serving of broccoli provides 53 percent of the daily chromium requirements of 25 mcg to 35 mcg/day. Chromium is also available in supplement form, but, as always, check with your doctor before starting. Also known as tulsi, holy basil has anti-androgenic properties that promote hormone regulation and ease the symptoms of PCOS. Holy basil also keeps insulin levels in check, which can block the production of testosterone. You can drink holy basil tea a couple times a day, or add it to smoothies for a healthy twist. The leaves of holy basil also make a great addition to salads or can be used as a garnish. Check out these awesome recipes from Renegade Health. Green tea can help with glucose control and also improve insulin sensitivity. 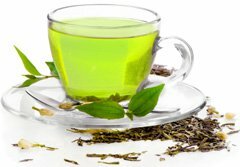 A review published in the American Journal of Nutrition noted that green tea was able to significantly lower fasting insulin concentrations and cut down on fasting glucose levels. Less insulin means less testosterone production in the body, which means less of those unpleasant PCOS symptoms (10). I recommend selecting a decaffeinated green tea variety and enjoying in moderation to prevent overdoing it with the caffeine. Two to three cups daily is a good amount to see the maximum health benefits from your green tea. Last but certainly not least, I want to emphasize the importance of a healthy lifestyle. Although a diagnosis with PCOS can be devastating, combining natural remedies with a healthy diet and exercise can make it much more manageable. Weight loss is one of the best ways to reduce the risk of PCOS, control the symptoms, and prevent the development of associated conditions like diabetes. Follow a plant-based diet, minimize your intake of processed foods and refined carbohydrates, and stay active to ward off PCOS and its unpleasant symptoms for good. 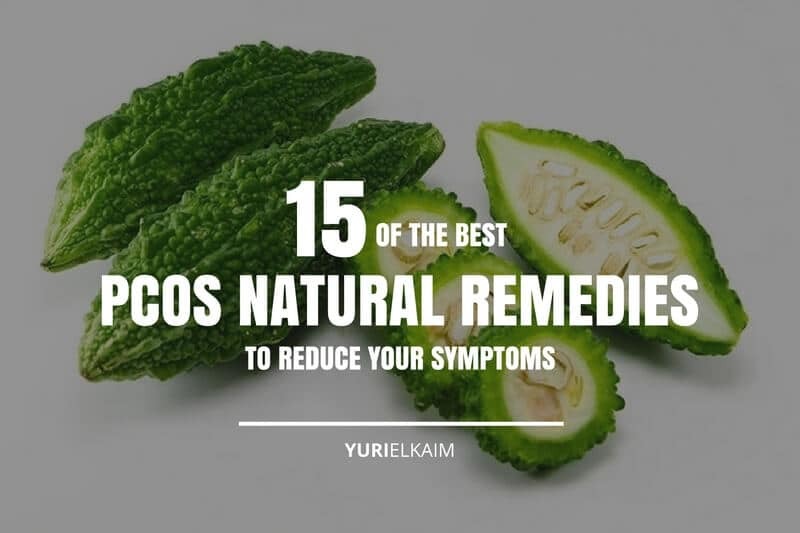 These natural remedies – along with a clean, healthy diet and regular exercise – can go a long way to helping ease PCOS symptoms. And as I mentioned earlier, it’s a good option to check with your regular healthcare provider to make sure you’re following the path that works best for you and your body. Discover my 10 safest and most effective natural home remedies that simply work. This handbook is a $19 value – but you can get it right now for free. Cure skin, eye, and ear issues at home or treat colds with these tried-and-true home treatments. Click the banner below to get the Healthy Home Remedies Handbook for free right now!